The Iron Curtain was an 8,000-mile border separating East from West during the Cold War. Something unexpected evolved in the “no man’s land” that the massive border created. In the absence of human intervention and disruption, an accidental wildlife refuge formed. 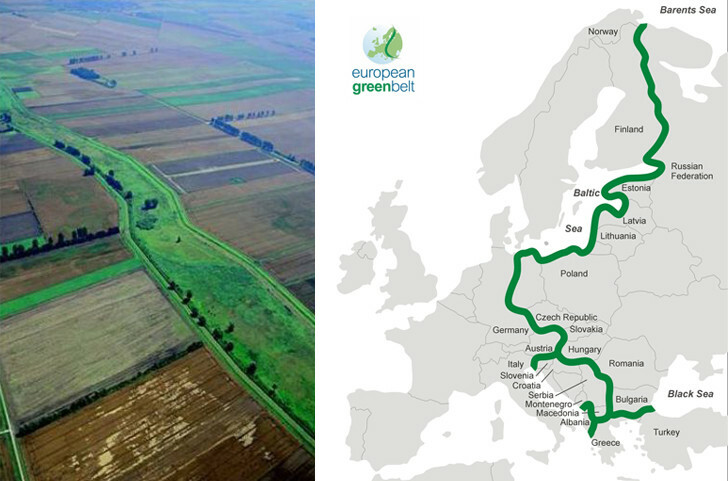 After the fall of the Berlin Wall, conservationists from both sides of the divide realized this long-unused space could become the core path of a “European Greenbelt” connecting habitats across countries, including national parks and nature preserves. 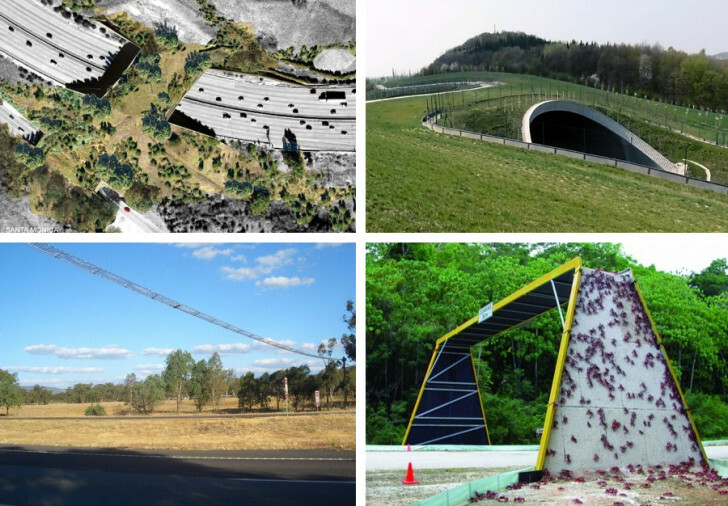 Such wildlife corridors can be found around the world at a range of scales, from mountain lion freeway overpasses and crab bridges to squirrel wires and fish ladders. Some corridors help expand territories available to wide-roaming mammals, while others facilitate seasonal migrations for various species of bird or fish. The fish ladder was first patented by a Canadian lumber mill owner in 1837. Consisting of a series of terraced pools, the system allowed fish to leap from one level to the next, slowly climbing the ladder to circumvent dams in rivers and streams. The design takes advantage of a salmon’s natural ability to swim upstream through rapids and over small waterfalls. Today, there are about 88,000 water flow barriers in the country that have an elevation of five feet or more, some of which are hard to solve with simple ladders due to size, location, or water waste. 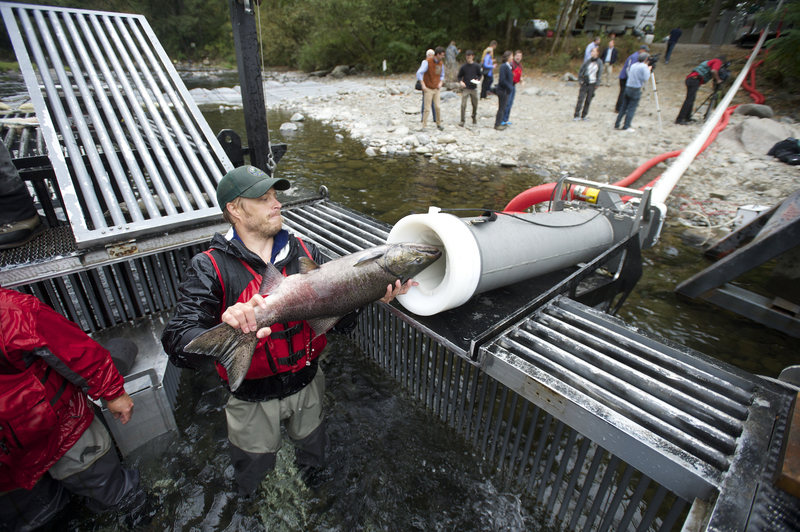 The Salmon Cannon, however, aims to change the landscape of possibilities, using differential pressure in an air-filled tube. This unlikely-sounding device actually started out as an apple cannon, created to move fresh-picked fruit from trees to central storage bins on an orchard along the Columbia River in Eastern Washington. The founders of Whooshh tested their first modified salmon cannon with a few dead fish, sending them up a 25-foot-long apple tube. After promising results, they bought some live fish, which likewise shot up and out the other side without any apparent ill effects. While compelling, the cannon is not a perfect solution to landscape fragmentation, particularly in cases where too many dams effectively turn rivers into a series of ponds or lakes. They do help salmon make their way upstream, but some current is still required to carry the young hatchlings back downstream. Some critics also worry that technologies like this could even encourage the creation of more dams, since they are touted as a way to “solve” problems such infrastructure creates. However, taken in combination with other wildlife corridor projects and initiatives, the cannon can help mend broken pathways, at least temporarily, while preservationists work toward longer-term solutions. The best way to protect animals would, of course, be to turn the whole planet into a “no man’s land,” but that is not happening anytime soon. We cannot go back to some world before cities, highways, and dams, but we also cannot just plow ahead with development and expect to wildlife to cope. For a species like salmon to survive in the modern world it is going to take a patchwork approach. Technologies like the fish cannon can help animals survive in a landscape increasingly dominated by humans, but sometimes the best thing for wildlife is for us to get out of their way. Reporter Emmett FitzGerald spoke with Louise Mozingo, chair of the Department of Landscape Architecture and Environmental Planning at the University of California, Berkeley; Todd Deligan, Vice President of Business Development with Whooshh Innovations; and David Montgomery, professor of geomorphology at the University of Washington and author book King of Fish: The Thousand-Year Run of Salmon. Holy smokes, one of the narrators talks out of the back of his throat the whole time… its super annoying. I thought that the whole concept of fish ladders were more or less an abysmal failure? There’s a really great documentary (available on netflix) called DamNation that talks about the horrid track record and devastating environmental impact of dams, and how much of what they promised was never really delivered upon, or that their electrical generation was not necessary. Highly recommend checking it out! Read the Plaque about fish ladders! I am all for removing unnecessary dams and increasing and improving Salmon habitat however, the assertion that the Columbia is a series of lakes is incorrect. I am on the Columbia every week and I can tell you that this claim by the ‘no dams’ advocate is pure hyperbole. Come down and enjoy the Columbia River and see for yourself. Out in the middle of nowhere near Pinedale, WY about a 100 miles south of Jackson, WY they have these giant overpasses over which no cars drive. It took me a while to figure out they were for wildlife. That area is known for its endangered sage grouse habitat among other wildlife. A proposed wildlife crossing in the Los Angeles area… to help the mountain lions in the Santa Monica Mountains reach larger habitat areas north of the US 101. I’m a long-time listener and lover of the show. You guys and the whole radiotopia network have me evangelically hooked on podcasts. Thanks. Packing the dishwasher and commuting haven’t been the same since I found you, and for this I’m eternally grateful. 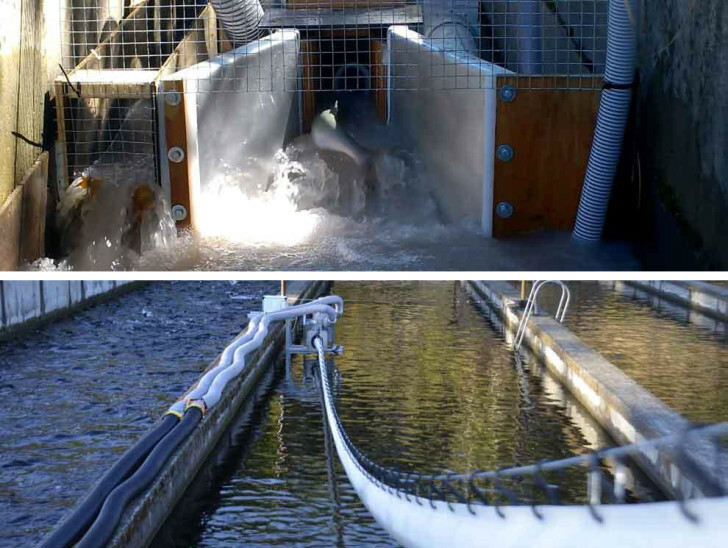 Anyway – in this episode – great as always – Roman says (at about 3:26) “one of the oldest examples of humans designing a passageway for animals is the fish ladder…” – OK, cool. BUT I’ve completely got to tell you all about this INCREDIBLE design that the Australian Aboriginal people did 8,000 years ago, building passageways for eels, to farm them. And do anything you possibly can to watch episode 4 of the documentary series “First Footprints” because it will blow your mind – which is honestly not something I would ever have imagined I’d say about eel farming, really. OK. Thanks, keep up the good work. What was the music used at the very end of the show?